We can never work our way to heaven. Our good works will not qualify us for heaven. 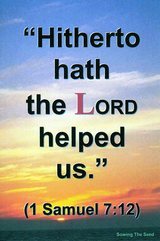 It is by the grace of God that we are saved and due to our faith in the Lord Jesus Christ are we accounted righteous. Good work follows our faith and it is the result of our faith in Jesus Christ. Believe on Him and He will make you righteous.